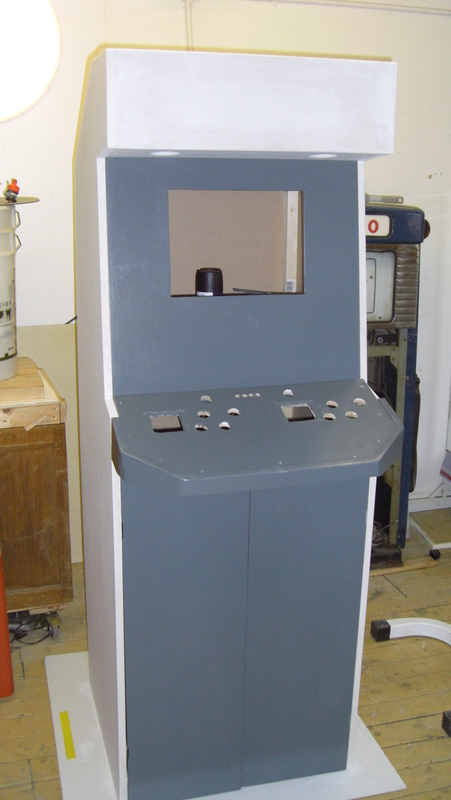 I think the least enjoyable part of the whole arcade machine project was the finish. It was the most expensive, I used materials I really didn’t like, there were problems with finding certain parts and it was all probably bad for my health! After that was more sanding and more coats of primer as the first coat brought up lots of fibres. The difficulty here was the edges of the MDF. The primer would soak into the edges and bring out the grain. Really, I should of prepared them before priming by painting a mix of PVA clue and water onto the edges to seal them somewhat. But I didn’t, so I had to spend a lot of time sanding them with wet sandpaper and adding extra coats of primer to them. After that, the next step was the base coat. I decided to use spray paint for the final coat(s) as I wanted a finish that was free from brush marks. However, this turned out expensive, and despite the use of a dust mask left some horrible black gunk coming from my nose. I can’t help but think what that did to my lungs. I really should of done a couple more coats of spray to get a more even finish, but it was getting too much. Also, I should of laid the cabinet down and sprayed each side to avoid the paint running. But I’m happy with the finish – even if it’s because I reached the point where I just wanted it done! 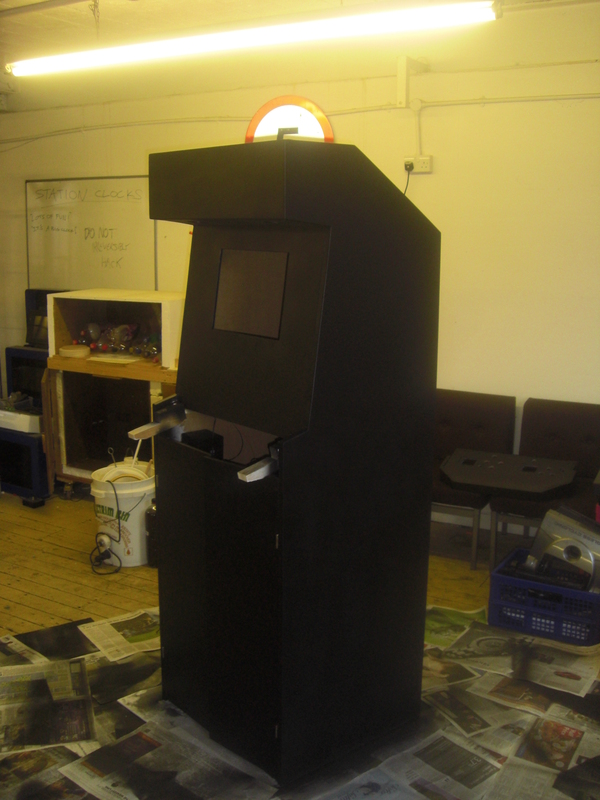 The final step was the neoprene on the control panel. I decided to use a neoprene sheet to give a comfortable surface to rest one’s wrist on while playing and because it would be more resilient than paint. However, this turned out to be a major set back. It took trying a number of companies I finally get one to send out some neoprene – it’s not an easy material to find. Rubber Technix gave me a good price and seemed professional enough. But after 2 weeks they’d sent an invoice but my order had still not arrived. I spent nearly two months calling them to find out where my order was. Each time I was told they’d look into a call me back. Of course, they never did, so the next day I call them again. Eventually, I reached the point where I was ready to cancel the order, get a refund and begin looking again. They said they were sorry and offered me a full refund. But even this didn’t arrive. More calls later I learnt that they had indeed shipped my order 6/7 weeks back, but to the wrong address – odd, since they managed to get the invoice to the right address. So, it had been sat with a neighbour all that time. It’s quite shocking just how long it took them to tell me that, especially since they kept saying it hadn’t been shipped due to problems with dispatch. Other than doing it all during the summer, sealing the edges and a couple more coats of spray paint there’s little else I’d change about this process. Perhaps because there is little to change. I might spent more time sanding down brush marks had the paint dried quicker, maybe I’d consider using t-moulding on the edges next time as well. 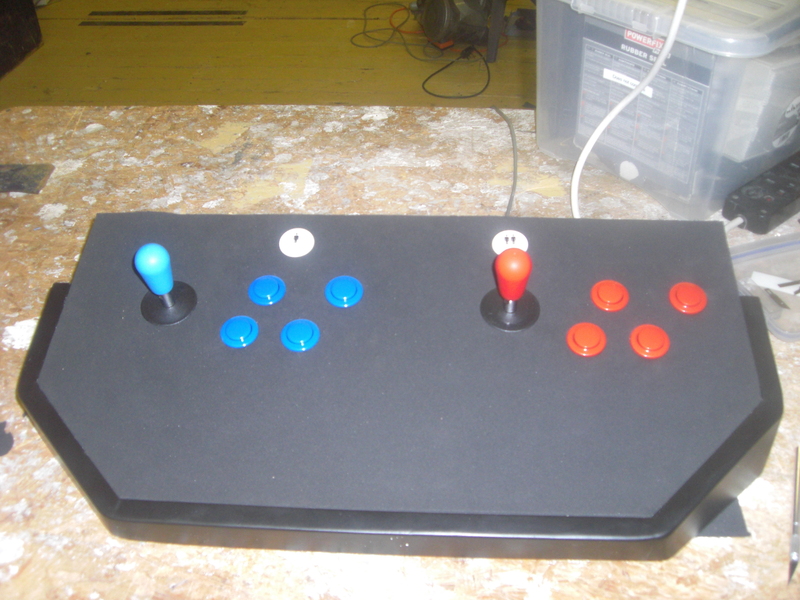 Time to move onto the electronics and GUI programming now. The final thing that I want to end on is just how bad wordpress’s gallery function is – even writing about the finishing process was difficult! It seems unnecessarily difficult to add multiple galleries and exclude certain images from a gallery. The solution is shortcode tags. However, this requires you to know the id of the image you want to exclude, yet the only place I can find the id is after inserting the image directly into the post. Time consuming if you want to exclude a number of images. But on the whole I do like wordpress and shortcode, and now do the vast majority of my writing/editing in HTML mode. ~ by Jay on March 30, 2012.